Join us at YIA Gallery to see our latest exhibit “I AM Arts” featuring work by our Intensive Arts Mentorship (I AM) students and to celebrate the new school year. 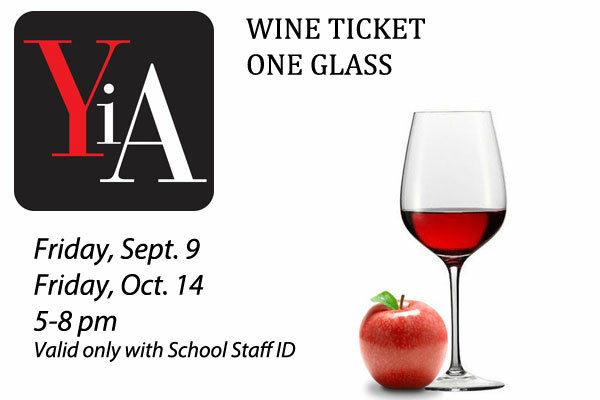 VIP TEACHERS LOUNGE: Teachers are welcome to have a glass of wine on us! Download and print our coupon and bring to Youth in Arts with your staff ID. Valid Friday September 9 or October 14.